ESP (Eureka Springs Paranormal) Weekends at the 1886 Crescent Hotel in Eureka Springs, Arkansas have grown to become one of the largest ghost hunts in the United States – so popular it now includes two weekends to accommodate demand. Participants will be investigating two local, historic hotels in one weekend at ESP17! 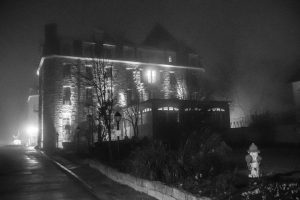 Participants will be expertly guided for a behind-the-scenes quest for evidence in the famed 1886 Crescent Hotel & Spa, “America’s Most Haunted Hotel in America”, that sits on a mountaintop overlooking beautiful Eureka Springs, Arkansas. The quest, for those who opt for an additional night, will included the Crescent’s sister hotel, the majestic 1905 Basin Park, in downtown Eureka Springs and just steps from the famous Basin healing spring, the one that first put Eureka on the map back in the nineteenth century. The spaces known to be the most active at the Crescent Hotel will be open for investigation from midnight to dawn. 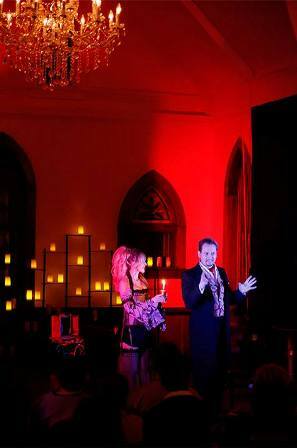 On Saturday nights, the Crescent Hotel ghost hunt will be orchestrated and led by our ever-popular resident investigator, author of seven books about the supernatural and founder of ARPAST, the awesome Larry Flaxman! Those who choose to stay an extra night will be able to explore the Basin Park Hotel, with Larry in the lead –when the entire building hotel will be closed and empty except for event participants. GUIDED INVESTIGATION OF THE MOST ACTIVES AREA OF THE CRESCENT HOTEL – rooms 419, 3500, 218, 101 (Governor’s Suite, new this year) and of course, Norman Baker’s MORGUE – led by our resident paranormal investigator, the renowned LARRY FLAXMAN, author of seven books and founder of ARPAST. Saturday nights. GUIDED INVESTIGATION OF THE BASIN PARK HOTEL, which will be closed and completely empty for this event. Led by the great Larry. Sunday nights. 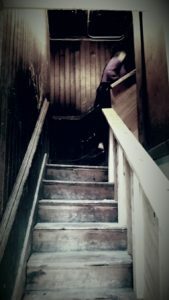 NIGHTLY GHOST TOURS at the 1886 Crescent and1905 Basin Park hotels, geared especially to ESP investigators. Learn the history of the hotels and the town, hear the stories behind the sightings and identify the most active areas of the buildings. STORY CIRCLE Gives participants a chance to relate their experiences of the supernatural, here and elsewhere, and to hear the stories of other ESP participants – hosted by long-time favorite tour guide Aunt Reba. A SÉANCE Under controlled circumstances and with the assistance of trained psychics, participants will attempt to communicate with some of the better known departed spirits of the Crescent Hotel such as Norman Baker; the “Girl in the Mist”; and of course, Michael, the mischievous stonemason! TECHNOPHILIA, or “My gadget is more sensitive than your gadget!” Participants will contrast and compare ghost-hunting equipment with other paranormal investigators. This gives participants the opportunity to show off their favorite toys and to drool over the ones they don’t have… yet. IMMERSION – a theater experience with no “fourth wall.” Vince Johari will be the featured paranormal entertainer and guide into this realm of spirit communication. ESP TESTING – Participants will investigate the phenomena known as telepathy, thought transference or remote viewing for personal evaluation. The tests will continue as they become more elaborate allowing participants to learn more about this fundamental mystery of human mental capacities as well as a chance to test their own PSI potential! PSYCHOMANTEUM – Opens up the conduit to one’s own mind – or is it simply “the Other Side”? In ancient Greece, trained priests attempted to contact the spirits of the dead in a specially constructed, completely silent, subterranean temple called a psychomanteum. Reached through a complicated underground series of tunnels, the inner sanctum contained a still pool of water and single candle. In the process known as scrying, the initiate would gaze into the pool until visions appeared. A modern version of this sensory deprivation chamber was created by Dr. Raymond Moody, employing a soundproofed, mirrored room. Past participants have reported startling results. Those who participate will experience the psychomanteum at the highest point in the Ozark hills. Whether one believes that the images come from “in there”, “out there”, or can find no distinction, the psychomanteum provides a rare and unique experience for the adventurous. Psychics Lisa Dawn (Shustah cards); Michelle Rasmussen Foster (Intuitive Angel Readings); and Margo “the Charmreader” will be available throughout both ESP17 weekends to give readings and to enable future appointments to be made. 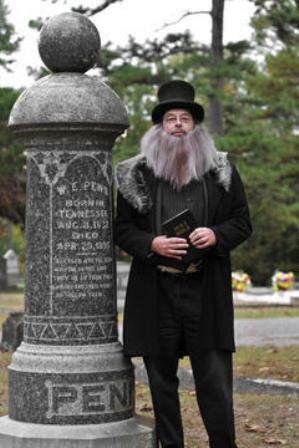 FLICKERING TALES – genuine Ozark stories of witches, monsters and ghosts, delivered by trained storytellers. >Snacks and beverages available in the “small hours” at both hotels.